IceCourt Speed Outdoor tiles were designed and developed for outdoor skating applications. Our proprietary precision locking system allows tiles to fit together securely, providing an exceptionally smooth skating surface. Specially shaped perforations allow water to drain easily and the surface to dry quickly, so your facility can be up and running quickly, even after heavy rainfall. 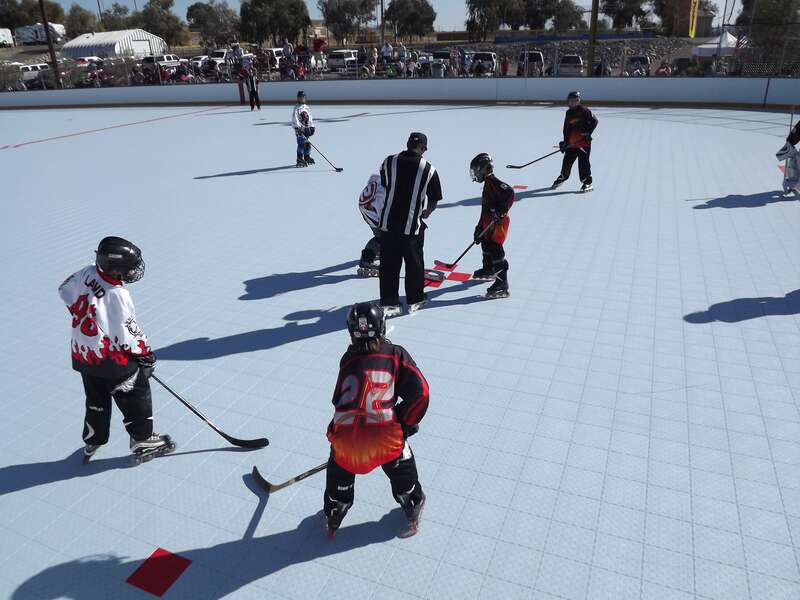 IceCourt Speed Outdoor provides the ideal playing surface for outdoor inline hockey. The specially-designed tile holds up to harsh weather environments, while retaining the exceptional playability of IceCourt Speed Indoor. Our unique surface delivers excellent wheel grip and smooth puck glide. 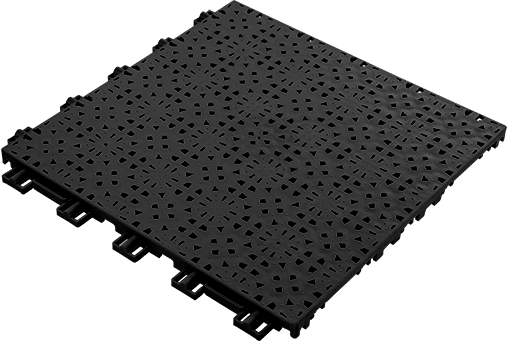 The IceCourt Speed Outdoor court tile was specifically-designed for outdoor skating applications. The precision locking system and surface profile provides a smooth, monolithic skating surface with the best wheel grip in the industry. The quick drain and dry surface perforations and heat expansion joints make it ideal for any weather environment. 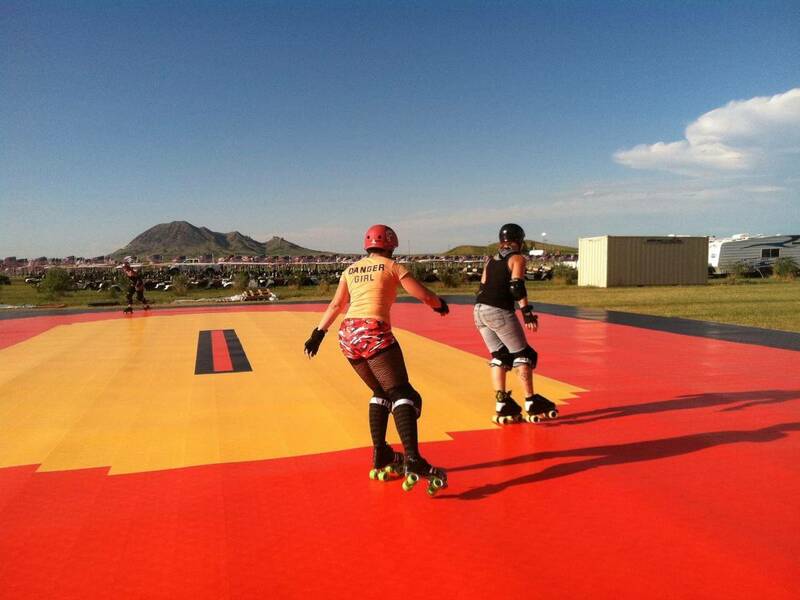 In addition to inline hockey and outdoor skating applications, IceCourt Speed Outdoor is an excellent multi-sport surface. The rigid, yet forgiving, tile surface provides great side-to-side movement to protect knees and joints, while the impact resistance helps protect against falls and prevent serious injuries. With 18 colors to choose from, the design possibilities are endless. Court tiles, ramps and corner pieces are available in each of the colors below. 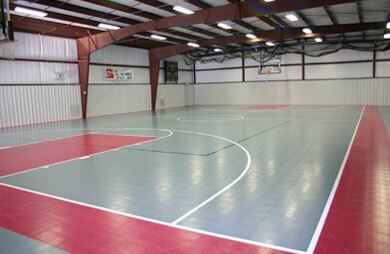 Custom painted lines and graphics are also available to give your court its own unique aesthetic.